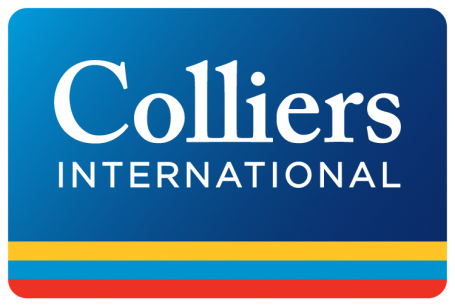 PRAGUE, Czech Republic: September 15, 2015 – Colliers International, today in a commentary, “What to Expect from the Chinese Stock Market Rout” released an analysis of the current situation and the driving forces behind the stock market collapse in China. The biggest contraction since the financial crisis, according to figures from World Trade Monitor, the Chinese stock market ‘collapse’ is not part of a general crash of world equity markets, but rather a long overdue pricing correction. This over-reaction is due to a combination of misreading of the Chinese devaluation and herd instinct. As a result, trade is expected to shift from emphasis on a global scale for regions and nations, including China, towards a best-shoring production strategy which meets domestic demand. As the EU’s second largest trading partner, implications for European economies are expected as well. The greatest ‘immediate’ impact on UK, European and US economies will be through the importation of deflation as Yuan devaluation lowers the cost of Chinese imports. The industrial and logistics sectors across Europe stand to gain from the Chinese turmoil, especially those parts of the sector driven by retail demand because Chinese goods deflation may lead to an increase in Chinese imports, which will in turn support logistics and distribution demand, particularly around ports and supply chain networks that are already focused on Chinese trade. Direct property investment may see some short-term changes, especially increased capital flows to core markets, though the Chinese stock market rout looks increasingly unlikely to do lasting damage. In fact, lower interest rates for longer looks to be the main outcome, which has the potential to sustain pricing, even in markets that are looking fully priced. “Expansion and diversification of Chinese Investors also reached the Czech property market as witnessed by the recent purchase of the former Živnostenská bank HQ on Na Příkopě by CEFC China Energy Company Limited who also acquired a stake in Travel Service Airlines and Slavia Football Club,” said Omar Sattar.